The Center for Asian Pacific American Women (CAPAW) will present its 2014 regional seminar, “Balancing Sharing and Caring,” on Saturday, Sept. 20, from 8 a.m. to 5 p.m. in Pasadena. 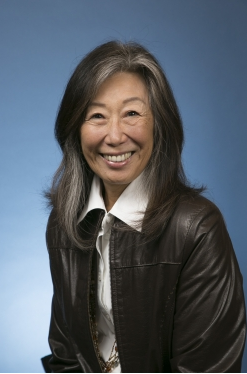 The one-day event features Dr. Marjorie Kagawa-Singer, professor at UCLA School of Public Health and Asian American Studies Center, as keynote speaker. She will discuss choices and often conflicting demands of life, career, family and the impact health and well-being. CAPAW’s signature “Whole Person Leadership” approach, developing women to achieve success and fulfillment in their personal and professional lives will be presented by the center’s program director, Peggy Nagae. “This seminar is designed to challenge and inspire attendees to create positive change in their lives and communities,” said Nagae. This full-day seminar is open to the public and will be held at Pasadena City College, 1570 E. Colorado Blvd. Sponsors include State Farm, Nordstrom, Southwest Airlines, and Edison International. To register for the event, and for more information, visit: https://2014wplseminarla.eventbrite.com.